Is this an emerging markets crisis or not? 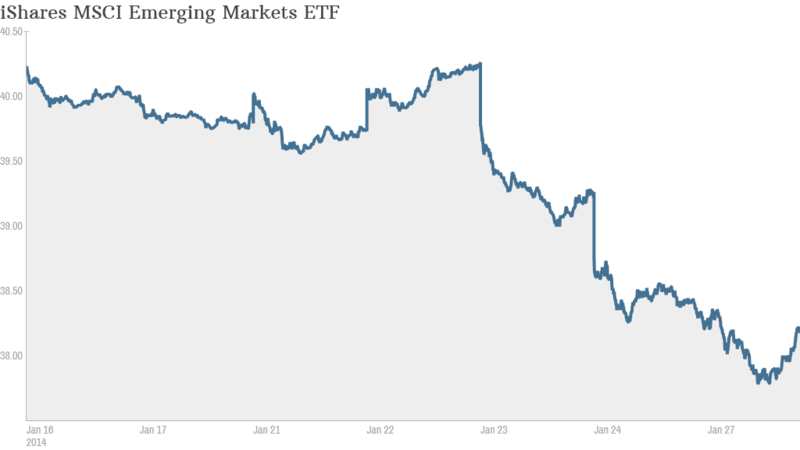 The iShares MSCI Emerging Markets ETF has tumbled due to problems in Turkey, Argentina and other emerging markets. The time of reckoning is here for emerging markets. After benefiting from ultra-low interest rates and sluggish growth in developed economies in the wake of the 2008 financial crisis, these markets are no longer looking so hot. Many market strategists fear the spigot of cheap money to emerging nations will dry up now that the Federal Reserve, Bank of England and Bank of Japan appear set to scale back on stimulating their own economies. The Turkish lira, Argentinian peso, Indian rupee and South African rand have all tanked in recent days, bringing down with them the currencies of less troubled nations such as Mexico and South Korea. A weak manufacturing report from China last week only exacerbated investors' concerns. The already anemic prices of commodities have hurt countries like Brazil, which rely on China's appetite for raw materials. Some economists are invoking the emerging markets crisis of the late 1990s, when the financial systems of less-developed countries collapsed like dominoes. 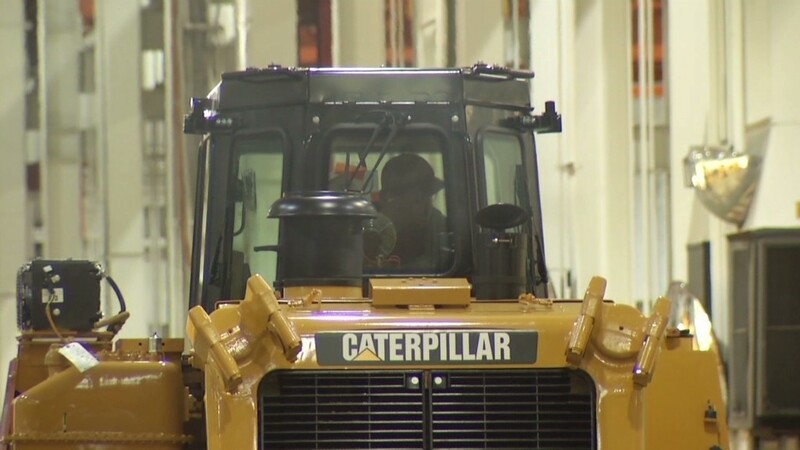 "We think this is the most severe period of under-performance by emerging markets since 1998," said Michael Shaoul, chairman and Chief Executive Officer of Marketfield Asset Management, which oversees more than $20 billion. Shaoul cites years of poor economic policy, mixed with unstable and sometimes corrupt local governments. "Investors are getting out of emerging markets, and the more they look at reasons to get out, the more obvious the reasons are," he said. Shaoul also thinks investors should stop blaming the Fed and other central banks. He notes that interest rates have gone down in recent weeks, despite the Fed's December announcement about cutting the size of its monthly bond purchase program. But Wasif Latif, who helps manage over $57 billion for USAA Investments, isn't rushing for the exits from emerging markets. "The sell-off we're seeing is not tremendous compared to history," he said. Latif believes the current emerging markets exodus isn't like the last crisis in 1997-1998. Back then, he said, governments borrowed in heavily in dollars. So when their currencies plunged, they had trouble paying their creditors. And while that scenario is still a concern for some countries, the majority of emerging market debt today is issued in local currency, he said. Moreover, the flight from emerging markets could present buying opportunities for those with a long-term investing horizon. Related: Market volatility ahead. But don't panic! Still, investors are feeling the pain, even if they're not directly invested in the currencies or stocks that have taken the biggest beatings. That's because relatively safe emerging markets are lumped in with not-so-stable economies in many popular exchange-traded funds. For example, the iShares MSCI Emerging Markets ETF (EEM) has exposure to Brazil and India, but also fundamentally sound economies like Mexico and South Korea. The ETF is down more than 5% since last late last week. "Everybody gets punished, but how fast do the good ones bounce back?," said Marc Chandler, a currencies analyst with Brown Brothers Harriman. He said some economies have gotten unfairly punished as many investors look at emerging markets as one asset class, rather than as different countries with varying levels of risk. So are the latest problems in emerging markets a contagion that will eventually hurt the United States? It's probably too early to tell. Latif pegs the recent pullback in the Dow and S&P 500 to unrealistically high valuations and earnings expectations for stocks, not issues in emerging markets. But Shaoul isn't ruling out the possibility of another big emerging markets crisis that ultimately causes bigger problems for U.S. stocks. "I don't think people understand the fragility of events in emerging markets," he said.